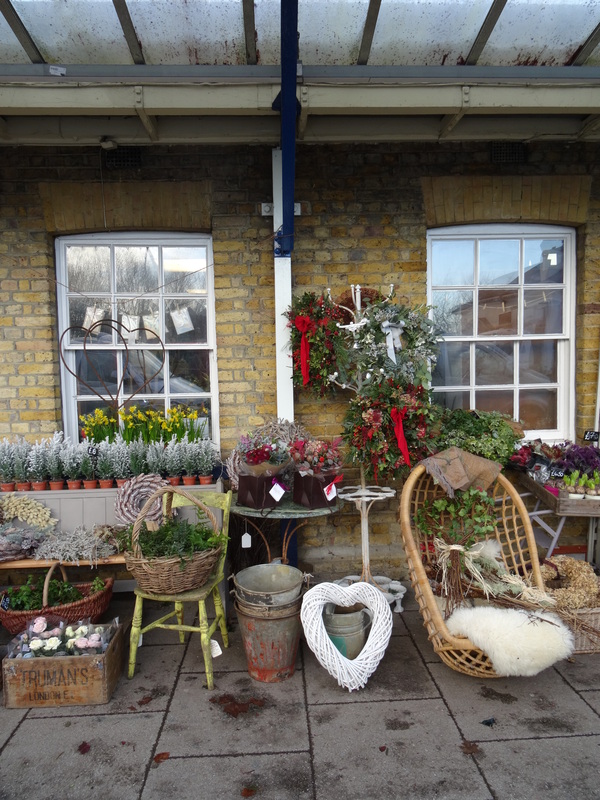 The florist outside Winchester station looks cheerily festive; even on a dull morning. 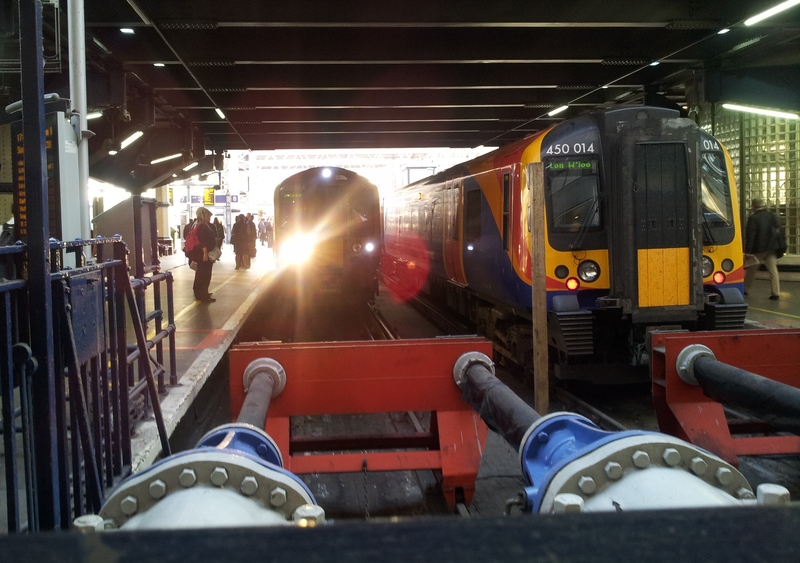 This entry was posted in Commuting in pictures and tagged Christmas, Christmas 2013; Christmas tree; decorations; sweets, Christmas tree, Commuting, florist, station, wreath on December 10, 2014 by Lyn Whitfield. 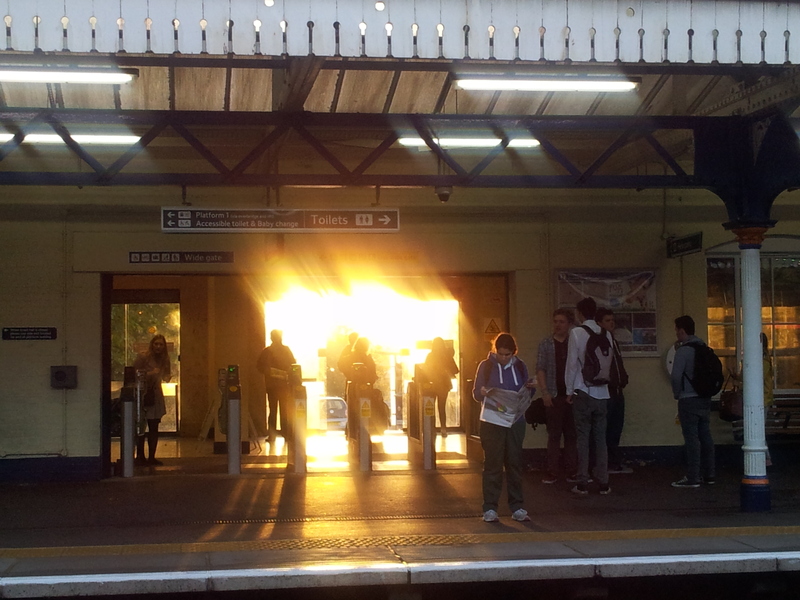 This entry was posted in Commuting in pictures and tagged Commuting, Newspaper, South West Trains, station, Sun, Winchester on October 19, 2014 by Lyn Whitfield. 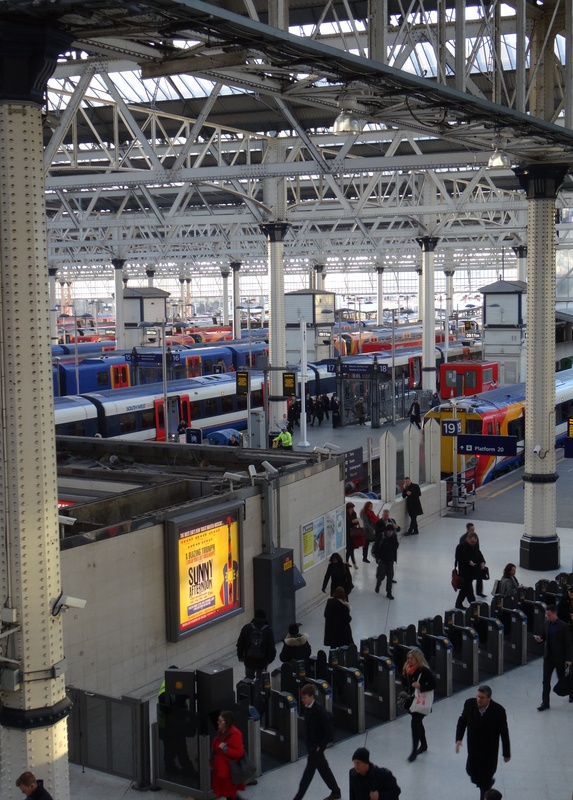 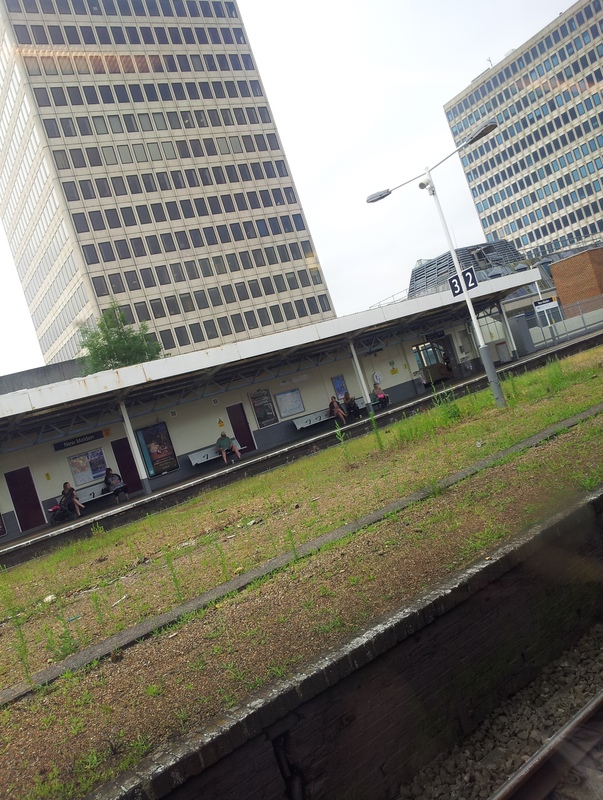 This entry was posted in Commuting in pictures and tagged Commuting, New Malden, office blocks, station, waiting on October 19, 2014 by Lyn Whitfield. 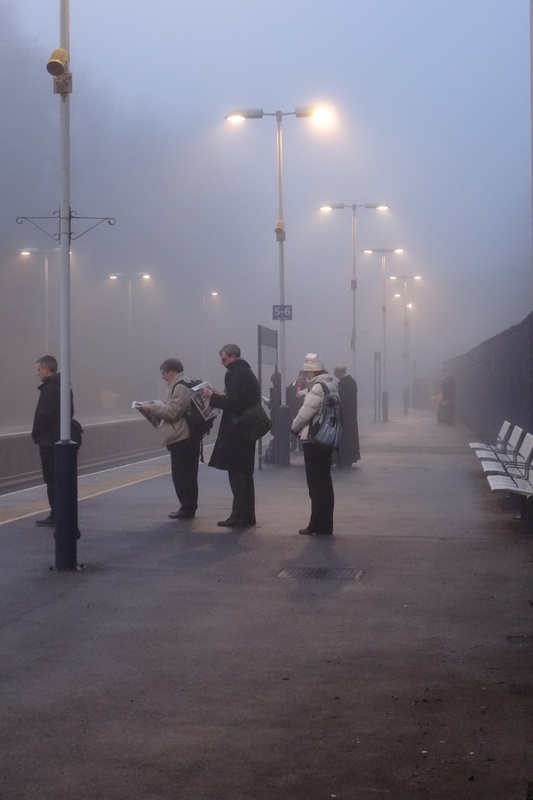 This entry was posted in Commuting in pictures and tagged commuting in pictures, fog, South West Trains, station, waiting, Winchester on January 22, 2014 by Lyn Whitfield.